#GivingTuesday Give the Gift of Food! Give the gift of food to those who need it most! 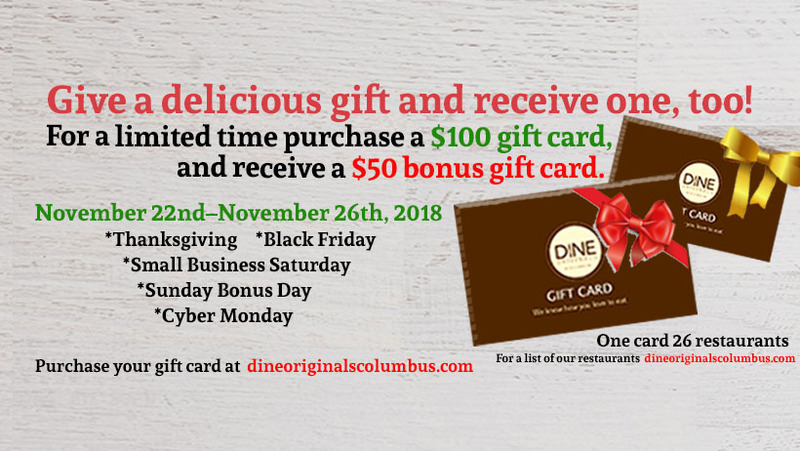 Order your Dine Originals Gift Cards today (Tuesday) and a donation will be made to the Mid-Ohio Food Bank. You can get your Gift Cards by visiting the Gift Certificates section of our website. Mark your calendars! 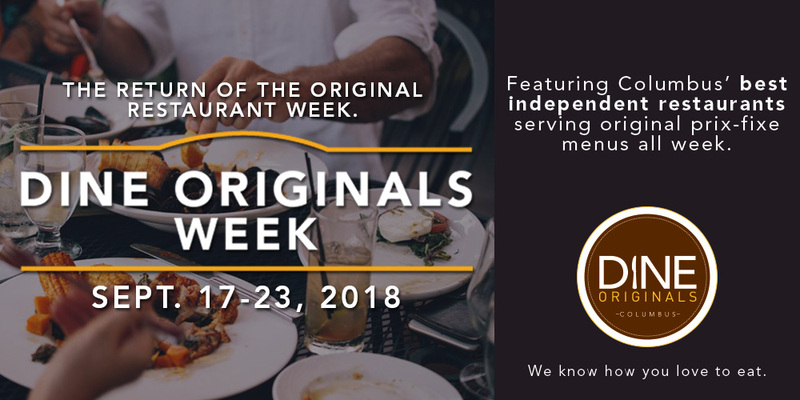 Dine Originals Week restaurant week returns September 17-23, 2018! The city's best independent restaurants will offer original prix-fixe menus all week. You’ll find all the lunch and dinner menus here! Dine Originals Decks are the perfect fundraising tool! Looking for new ways to raise money for your charity, school, organization, sports team or cause? The Dine Originals Deck is the perfect easy fundraising tool! 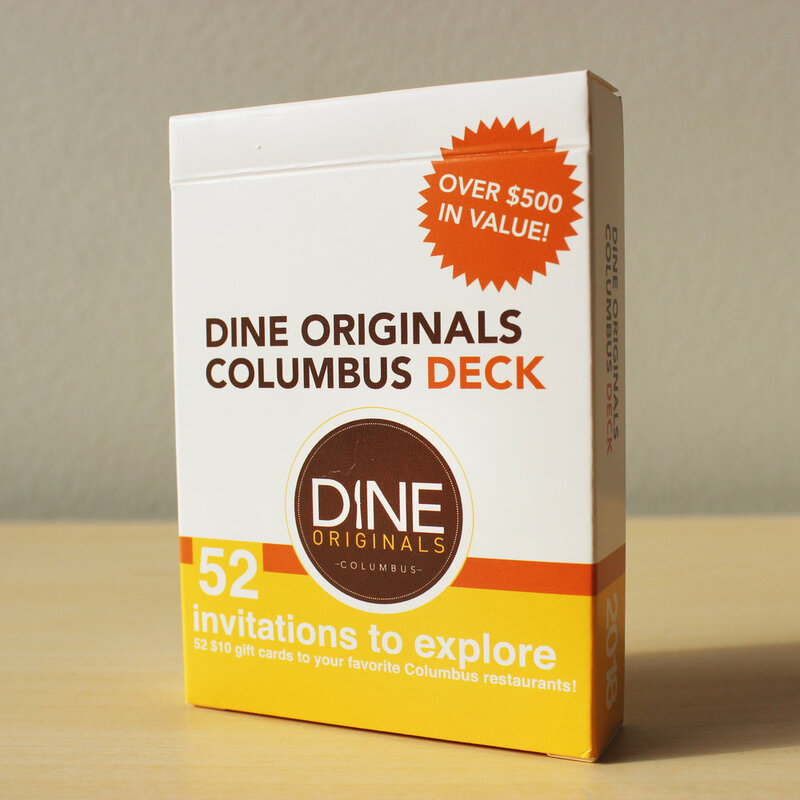 This deck of 52 cards includes different deals from each Dine Originals Columbus member restaurant as well as local partners! Inside you'll find cards with a $10 promotional offer from each of the 26 Dine Originals Columbus member restaurants, plus offers from Jazz Arts Group, ProMusica Chamber Orchestra, Wexner Center for the Arts, Watershed Distillery, North Market, Columbus Food Adventures, Celebrate Local and more. Over $500 in value for just $20! You sell the Decks for $20 apiece, and you keep $10 for each Deck sold! 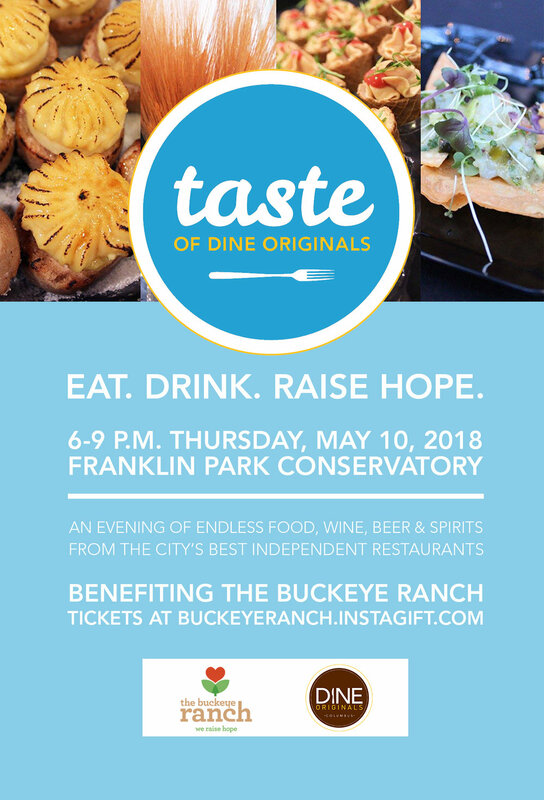 Contact Dine Originals Columbus Executive Director Shelley Mann via email at smann@dineoriginalscolumbus.com for more details and to get started today!